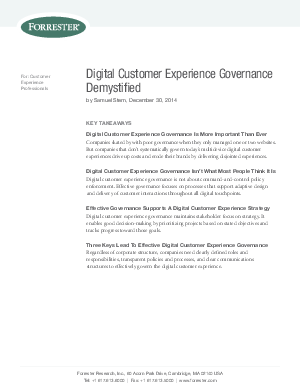 Governance has long been a dreaded word in the field of customer experience. But in today’s digital multi-touchpoint era, customers expect digital experiences to come to them — regardless of which device (or devices) they are using. For this and other reasons, governance is fast becoming a critical discipline.